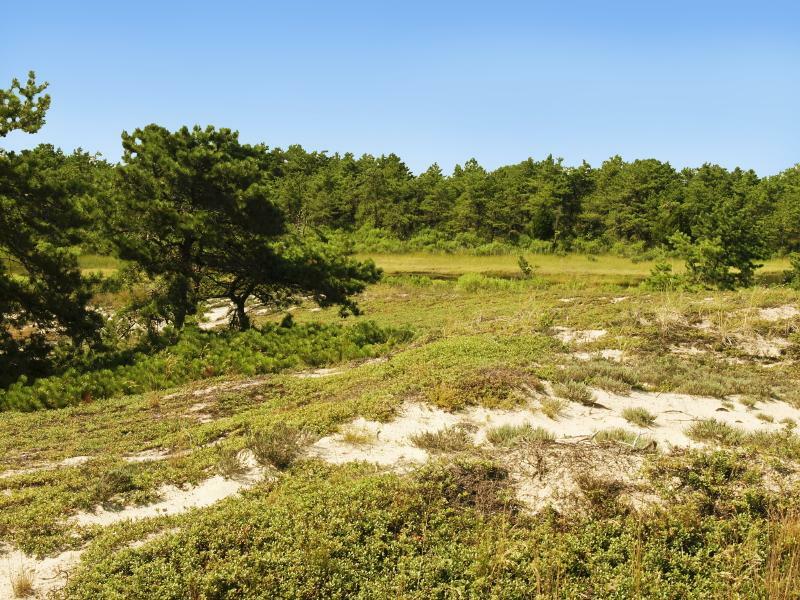 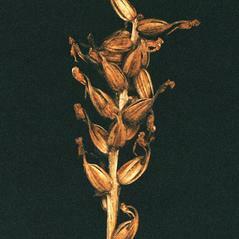 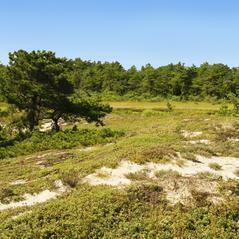 Platanthera pallida, the Pale Fringed Orchid, is endemic to Long Island, New York, restricted to dry, dune slopes. 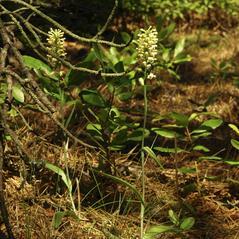 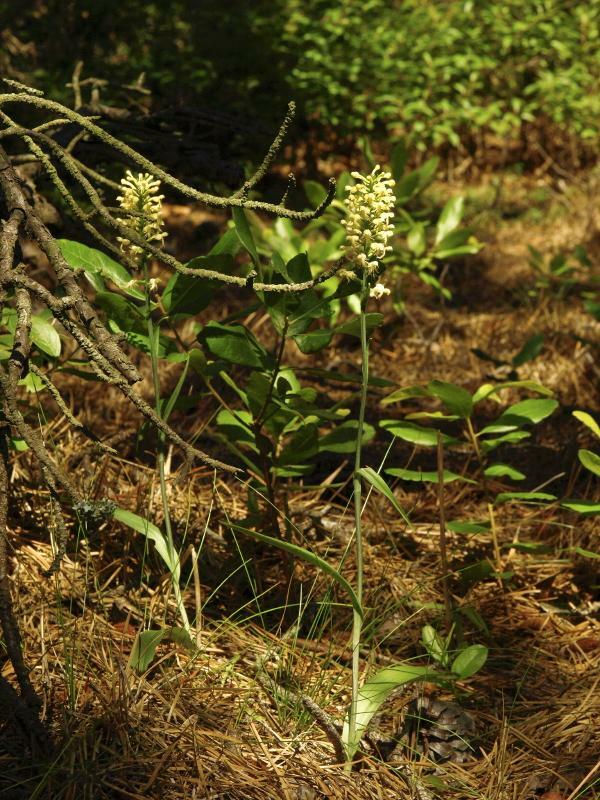 This orchid grows among pitch pine scrub and has 2-3 large lower leaves and upper leaves that are reduced to 3-5 linear bracts. 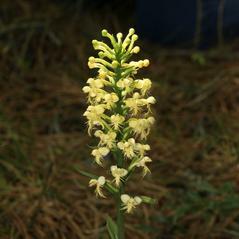 The cream colored flower with a recurved, fringed lip and short nectar spur may distinguish this orchid from Platanthera cristata, a similar species that prefers a wetter habitat. 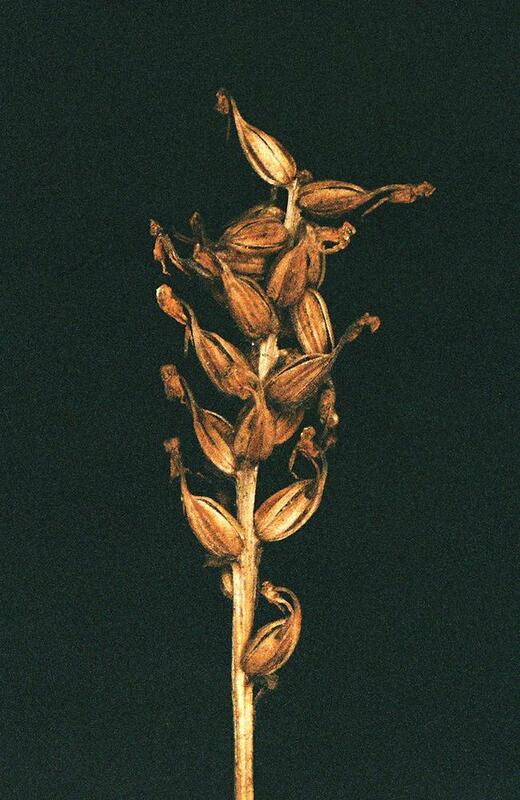 Although Platanthera pallida is presented here as a unique species, discussions continue among botanists about whether this distinction is warranted. 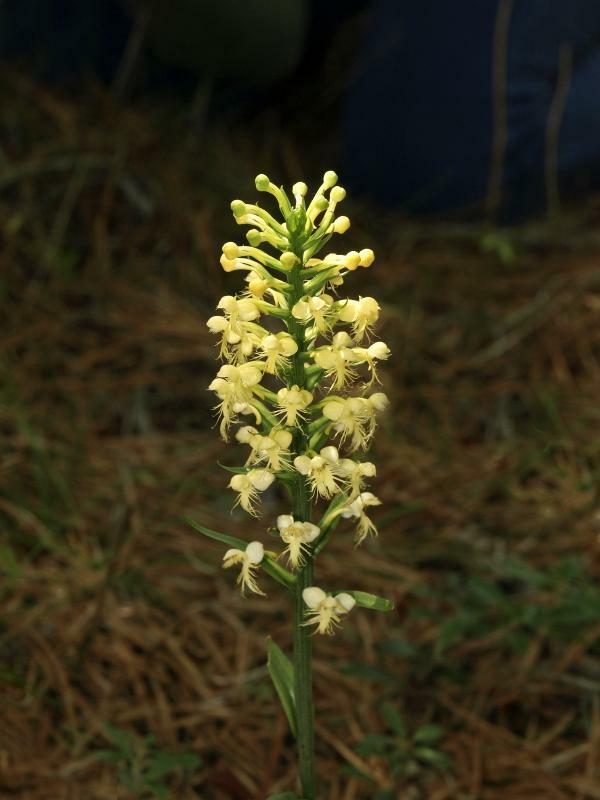 The New York Natural Heritage Program, among others, identifies these orchids as Platanthera cristata- exhibiting characteristics found within the normal range for this species. 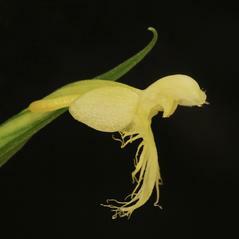 Further research into the biology of Platanthera pallida, including its pollination mechanism and mycorrhizal fungi, and the application of molecular tools, may shed light on these discussions.